In THE MESSENGER, K. M. Deal creates a riveting thriller that follows a nightmare scenario for an Arab American neurologist approached by terrorists. Mirroring the conflicts erupting across the Middle East today, the story depicts the struggle of a man who is loyal to his c ountry but values his heritage. When everything Dr. Sami Nasser loves is threatened, he must find a way to triumph over the evil that suddenly lies coiled on his doorstep. The prologue of THE MESSENGER begins with a funeral in Decatur, Georgia. A man observes from a distant hilltop. He is known throughout terrorist networks as Al Ustadh, The Teacher. Born in Egypt and educated at Oxford, he is as comfortable in London and New York as in Cairo. The story begins one month prior to the funeral. Dr. Sami Nasser, a Palestinian born neurologist practicing at Emory University Hospital, is passionately involved in his work and married to a beautiful American woman. The Teacher is his nemesis, a man who embraces violence as much as Sami abhors it. As the plot unfolds, the beliefs and experiences of both men reveal a radically divergent interpretation of Islam. Three acolytes are dispatched by The Teacher to extract information from Sami—at any cost. The ensuing action takes place in Decatur, Georgia, historic Savannah, and the exclusive enclave of Haig Point on Daufuskie Island, South Carolina. A brutal murder triggers a frantic chase up I-95 and culminates in an explosive climax in the Outer Banks of North Carolina. I am so excited for you and so proud of you. The prologue has me very anxious to read your book. Congratulations. Cover is a good choice. See you soon. Wow! What a gripping prologue and intriguing cover–and to think that I know the author! Impressive lady, author, and book! Thank you Jeanelle! I am glad you like the cover. Look forward to attending your book club. Congratulations! We can hardly wait to read the book. We really like the geographical setting of the intriguing plot. We are ordering the book as soon as Ron gives us the details. Sue & David Reid, Denver, CO. Thanks Maureen! I value you as one of my first readers. The book seems to be taking off and selling well. Very exciting!!! Congratulations Kathy! I read the prologue and am anxious to read the book. I finally found it on Amazon.com. Looks like your “publicist” has done a great job also. Best of luck! Hello from Chicago. I look forward to reading your new book. Congratulations! Thank you Jay, great to hear from you! Hope all is well. Just did a signing for my neighborhood book club and it was so much fun. The hostess surprised us with a toast of Veuve Clicquot which was mentioned on page 76 of the book. Hope you enjoy! Dear Kathy,I was excited to hear that you had published a book! I have read it and found I couldn’t put it down.Have recommended it to family and friends! Have you started the next one? U Go GIRL!! Hi Kathy: It was exciting that my book club in Big Canoe, GA chose your book, and they found the book to be a page turner; said they couldn’t put it down! The group was especially pleased that you were able to join us which led to a very rich discussion! It is not often that a book club has the author join them! Hi Kathy. It’s been a while since my first post and I read the book almost immediately thereafter. I could hardly put it down as the level of intrigue continued to build. Great twists and turns. Can’t wait to read the sequel. Hello Kathy. I’m so happy that things are going well with the book! I am so honored that I was one of the first to read it. It is definitely a page turner with a surprising ending. I’m looking forward to your next one. Continued success to you! It was indeed a pleasure meeting you and your husband this morning at the DBF Emerging Authors tented pavilion. I hope your sales are (were) better than mine. I intend to visit IGA Marble Hill and Jasper Drugs and see if they will place my books. Thanks for the tip. I’m off to Wyoming Tuesday, where the action from which my book was written, actually took place. Best of luck!!! I can’t wait to see how realistic this novel can be once I get my hands on it…. I would love to hear your comments. 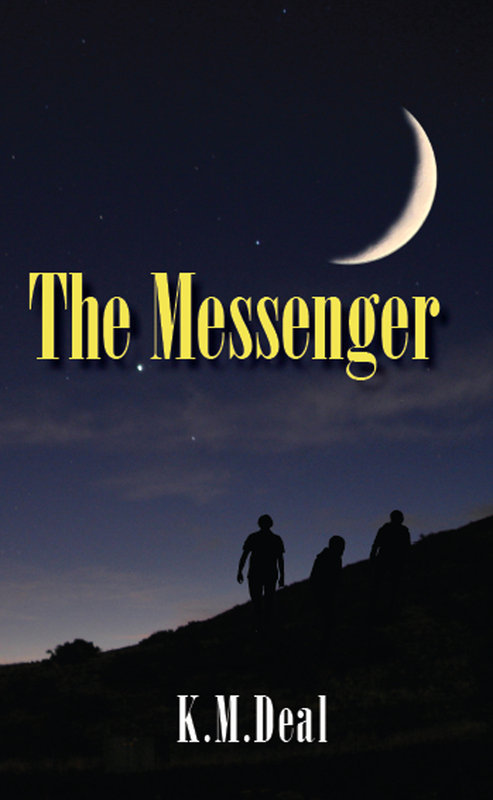 How did you find out about “The Messenger”? It was recommended to me after I purchased British author Karen Armstrong’s biography on the Prophet Muhammad. Met you at the Dahlonega Literary Festival and picked up The Messenger. However, as I’m sure you know, it’s hard to find reading time when you’re writing. Joyce (Oscar) and I just finished the sequel to Justice on Hold, so one of the first books I picked up was yours. Great read, authentically written, and I reviewed it on Amazon under “Donald Roswell.” Please let me know when the next one is out.